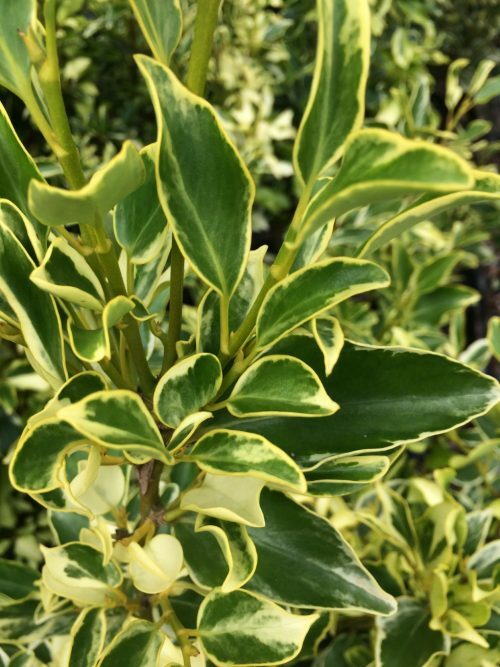 A more subtle variation in colour than Griselinia Variegata, Griselinia Green Jewel displays bright, glossy green leaves, splashed cream margins, and grey undertones across the leaf. 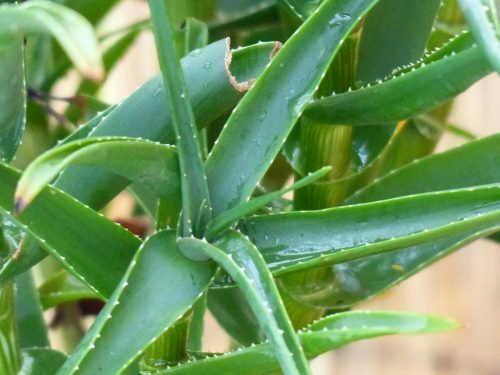 The leaves tend to be slightly more pointed than the rounder leaf of Variegata too. 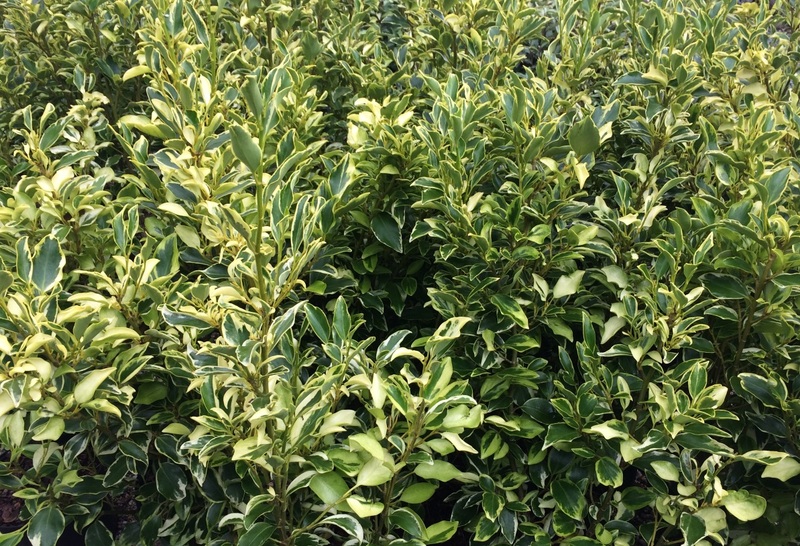 Like the other Griselinia varieties, it tolerates a coastal position and salt laden winds very well, however it prefers more enclosed/sheltered estuaries. 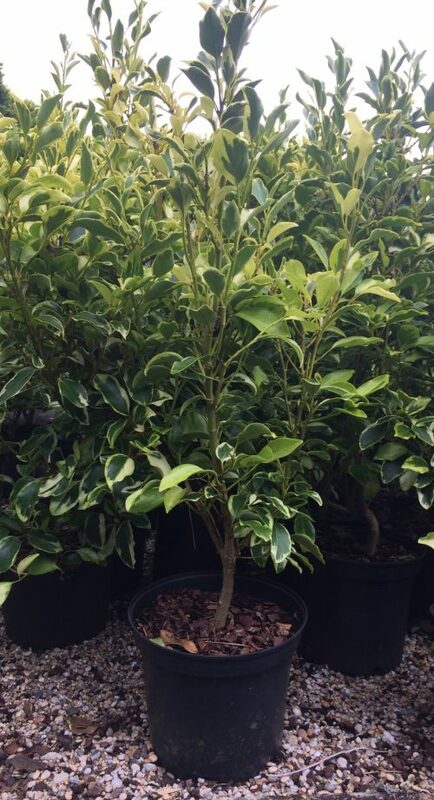 Very exposed locations would be better suited to the tougher Elaeagnus or Olearia hedging types. 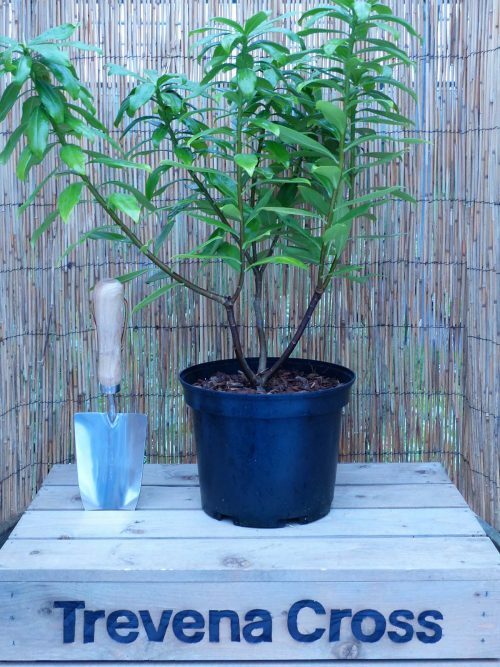 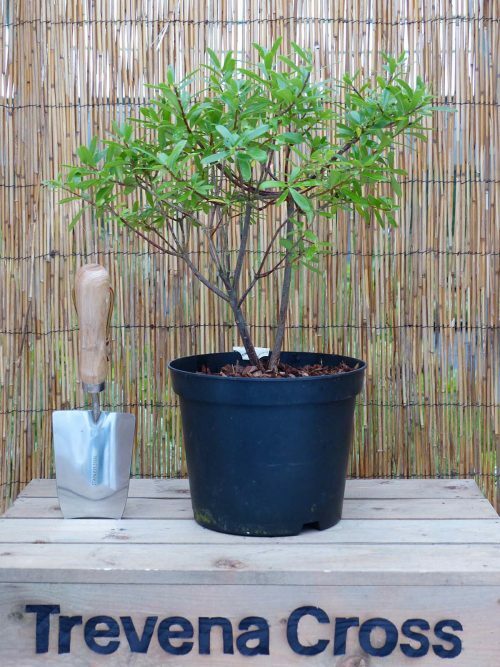 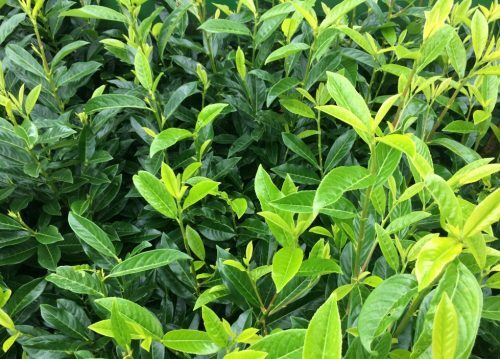 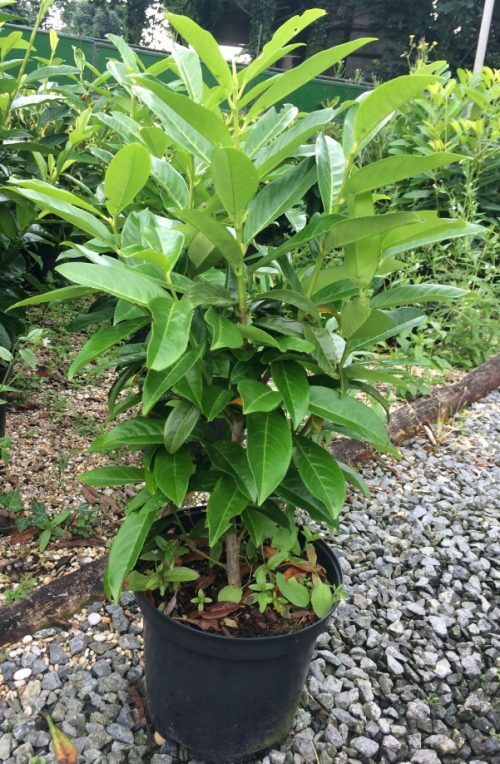 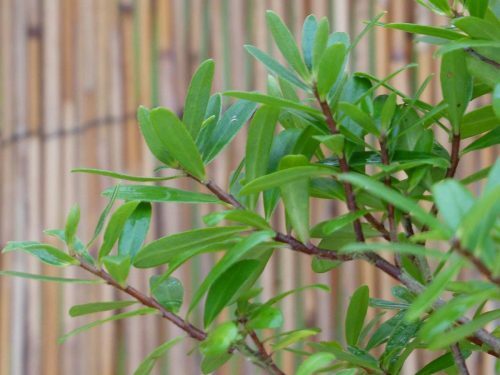 A per plant discount is available for bulk purchases of Griselinia Green Jewel hedging plants. 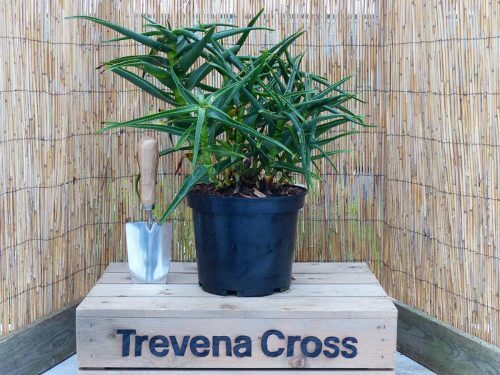 This discount will be applied in your basket if applicable (begins at 10+ plants). 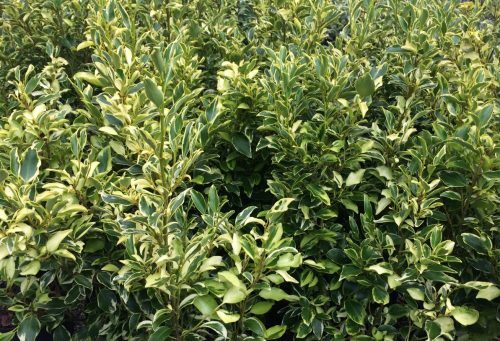 Griselinia Green Jewel hedging plants should be planted about 40-90cm/18inches-3ft apart from one another – although they can be planted further apart if you do not mind waiting longer for them to form a solid hedge.